A customer of ours in Birmingham had problems with his Skoda Fabia 1.4TDi ECU and reported Mass Air Flow sensor faults. Replacing the sensor did not solve the problem and the local garage carried out wiring continuity checks and tested the Mass Air Flow sensor which confirmed the original sensor was okay. The ECU was removed and sent to us for testing. We carried out an initial ECU Testing session which flagged up the fault right away. We were able to see the Engine Light illuminate on our simulator test bench and clearing the codes made no effect. We informed the customer the unit is faulty and was given the go ahead to repair the ECU and also requested we remap the ECU for more power + performance. We repaired the ECU and re-tested the unit to confirm all was fully functional. We then tuned the ECU parameters to increase the power output of the vehicle and simultaneously increase the fuel economy. This Skoda Fabia 1.4TDi is fitted with a Bosch EDC17U01 Engine ECU which we are able to fully test + repair. 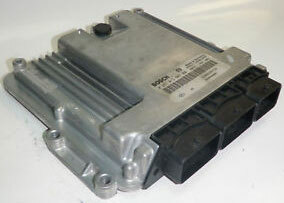 If you have a Skoda Fabia Diesel and suspect a faulty ECU then get in touch today to get it tested by ECU Repairs. You can email us, drop in or call 0208 853 5000. This entry was posted in Repaired ECU's and tagged 0281 015 050, 045 906 013 R, Skoda Fabia Air Mass Fault, Skoda Fabia ECM Problems, Skoda Fabia ECU Testing, Skoda Fabia Mass Airflow Fault, Skoda Fabia PCM Faulty, Skoda Fabia PCM Repairs by smartAjaz. Bookmark the permalink.